Music in the Mountains is a premier summer chamber music festival in Eden, Utah, presented annually by Powder Mountain. Inspired by the beauty and spirit of this region, in 2014, violinist Michelle Ross partnered with Powder Mountain in order to bring the best young classical musicians to Eden. Music in the Mountains is also proud to collaborate with Utah Symphony musicians. Artists in Residence travel to Eden each season to live and rehearse in this spectacular mountain setting, interact with the community in various outreach events, and culminate their residency by performing concerts on the very top of Powder Mountain. This year, the musicians will perform at the St. Anne’s Lantern House in Ogden. Michelle Ross, violinist and Artistic Director of the series, will be joined by renowned piano soloist Adam Golka, violinist and composer Ben Russell, violist Molly Carr, and cellist Saeunn Thorsteinsdottir. They are some of the most in demand soloists and chamber musicians in the world. This season’s programming,“Fiddling and Folk Songs” and “Romance in the Mountains,” spans from the Classical era to contemporary fiddling and compositions by resident artists Russell and Ross. The centerpiece of the performances will be romantic masterworks by Brahms, Mahler, Mendelssohn, and Schumann. Michelle Ross is a recipient of the Leonore Annenberg Fellowship Award, and her debut CD Discovering Bach was recently released by Albany Records - her 33-day performance project around NYC with the same name was noted by The New Yorker’s Alex Ross. Her debut album of the Complete Sonatas and Partitas of J. S. Bach will be release in 2017. She is in great demand around the U.S. and internationally as soloist, chamber musician, orchestral leader, and composer, a recent recipient of a New Music USA grant. 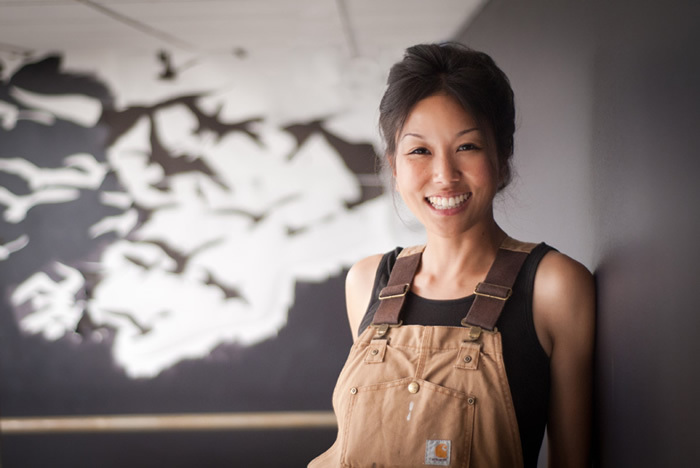 Jane Kim is an artist, science illustrator and founder of Ink Dwell. Her art career started very early in life by obsessively painting flowers and bears on the walls of her bedroom. She received more formal training at the Rhode Island School of Design and then Cal State Monterey Bay, where she received a Certificate in Science Illustration. Jane loves to be outdoors, on adventures, and brings the joy she gets from nature back to her studio. She has created works for institutions including the Cornell Lab of Ornithology, National Aquarium, de Young Museum, Smithsonian, and Yosemite National Park. She still enjoys painting flowers and bears, though nowadays she doesn’t get in trouble for painting on the walls.